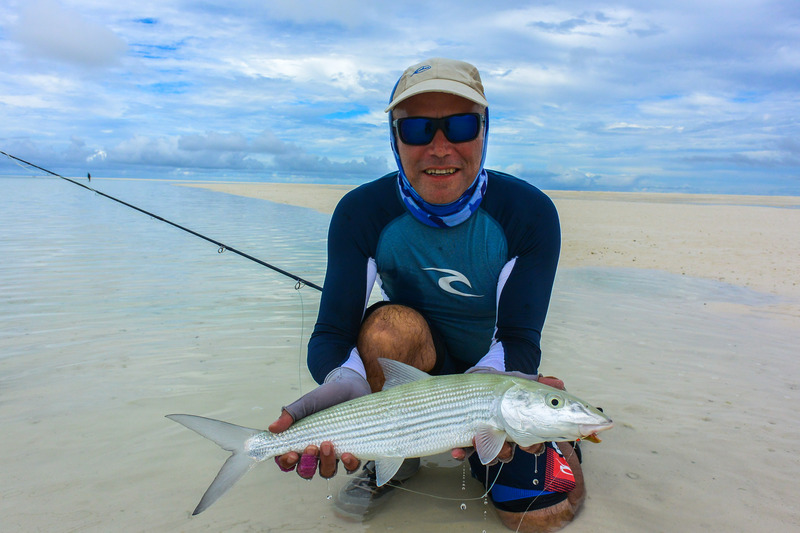 At the half way point of the Alphonse Island 2016-17 season, one very important thing to notice is the remarkable consistency of our fishing here. 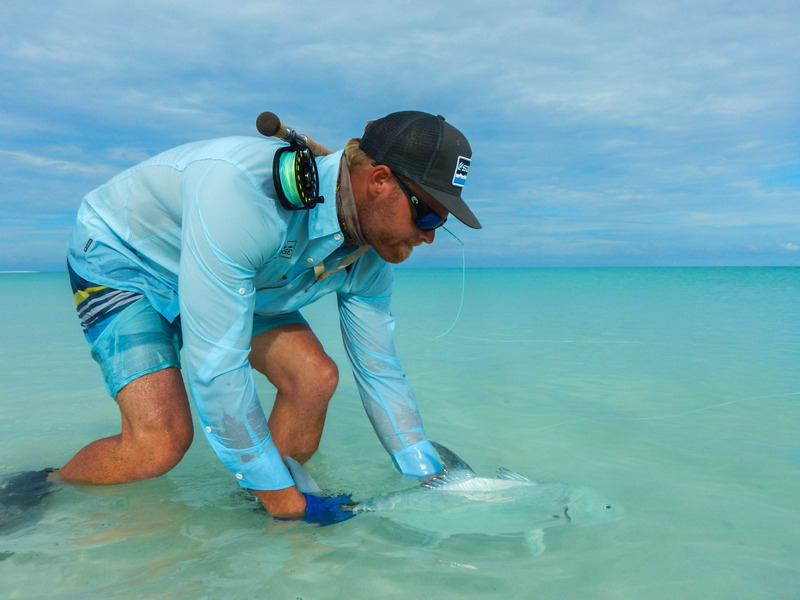 Certain weeks ebb and flow in favor of different species but the bottom line is that this fishery still maintains some of the most incredible saltwater fly fishing available anywhere. 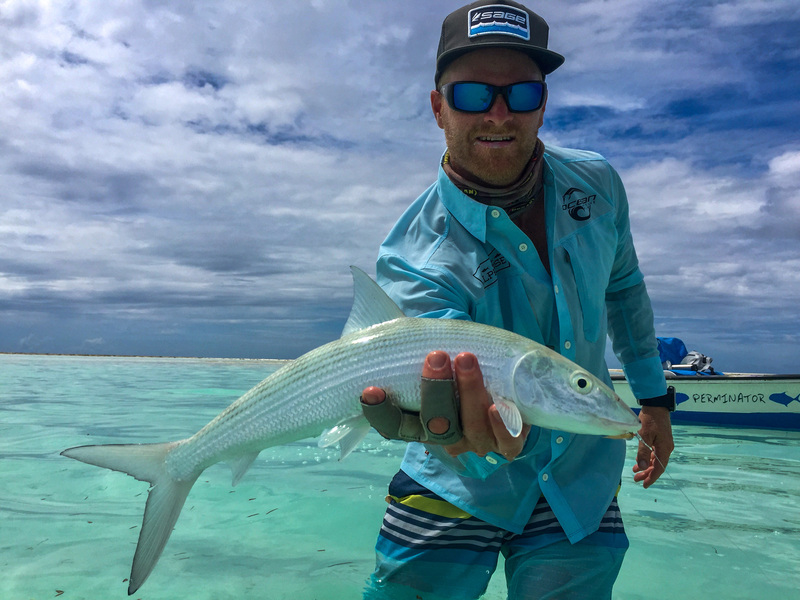 Our flats guides are fortunate to be exposed to one of the world’s most pristine saltwater environments every single day. 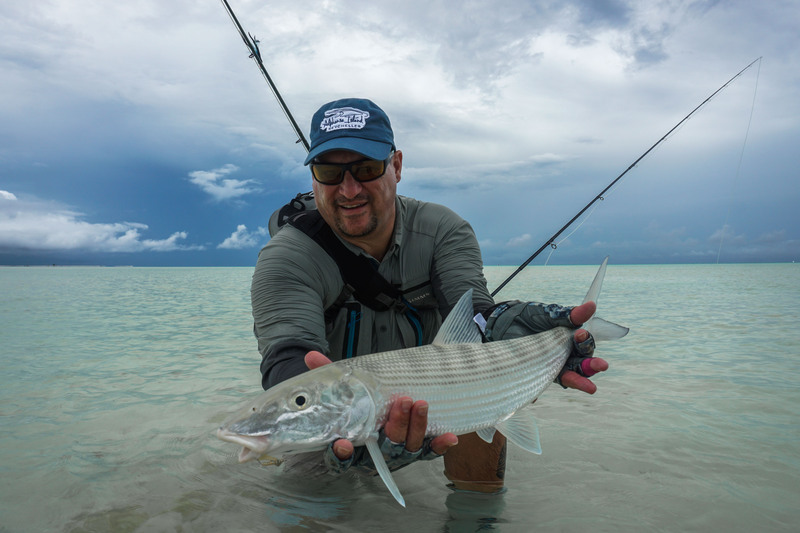 However, they are all fishermen at heart and still get excited when they see clouds of Bonefish on the beautiful white sand, tailing triggers or charging GTs. 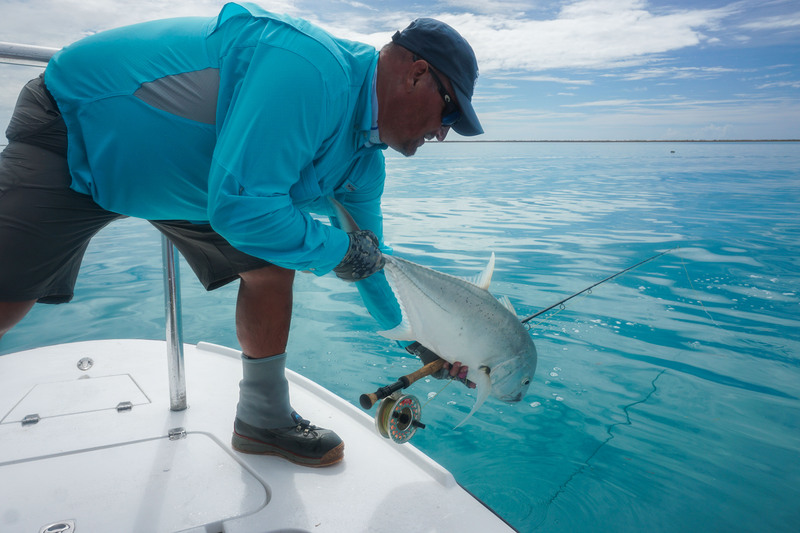 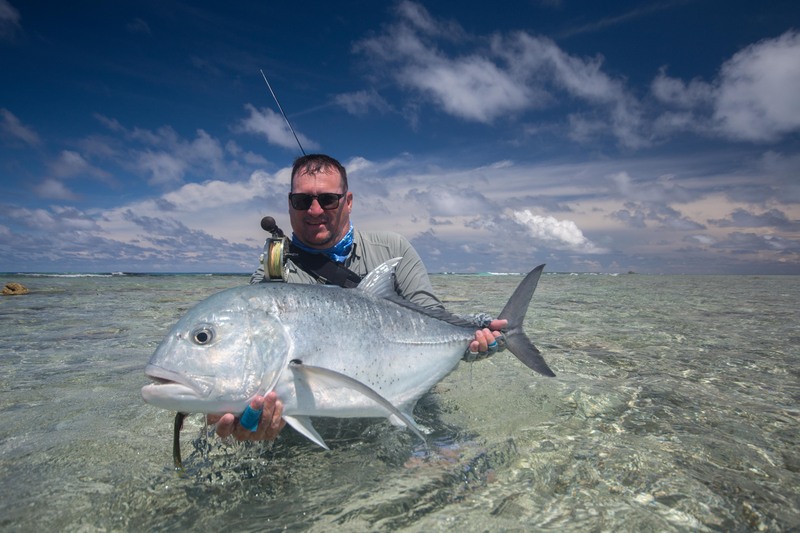 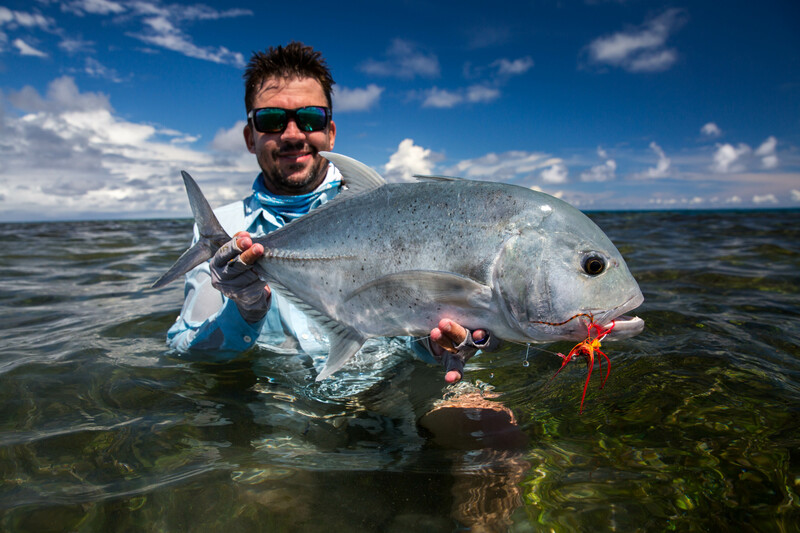 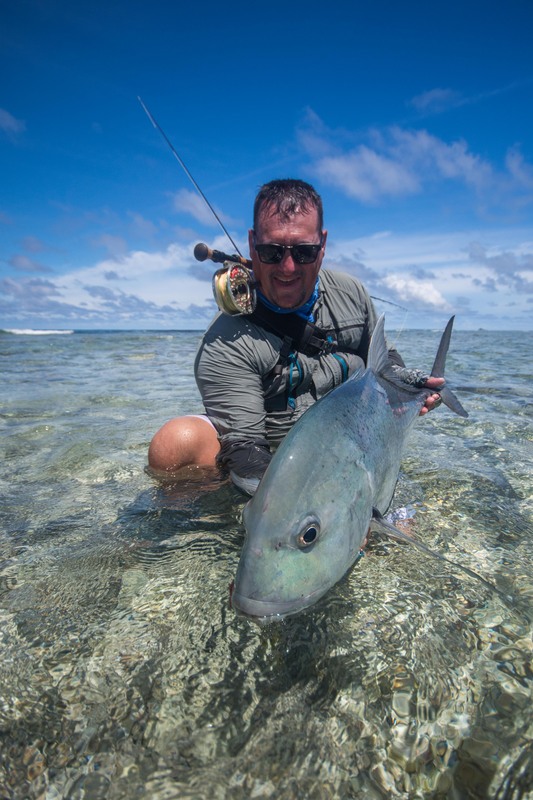 The adrenaline rushes are endless and they are what keep Alphonse Fishing guides going throughout a long season. 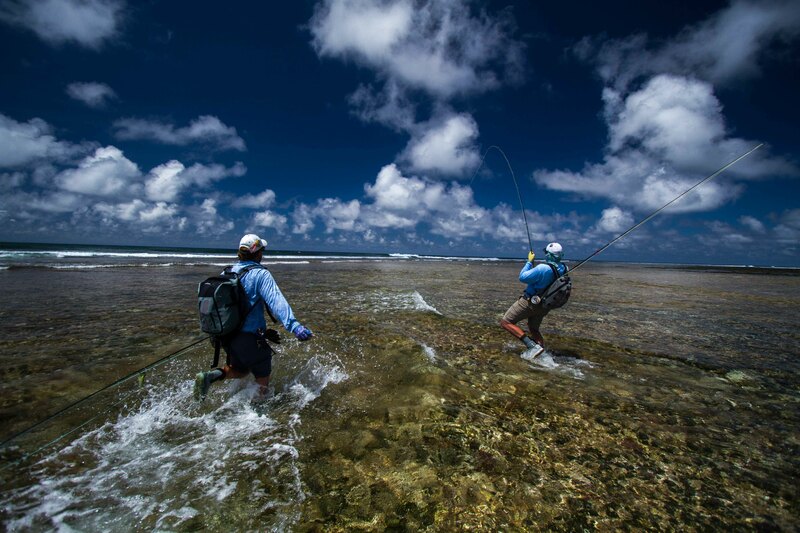 This week was full of ups and downs with regards to the weather. 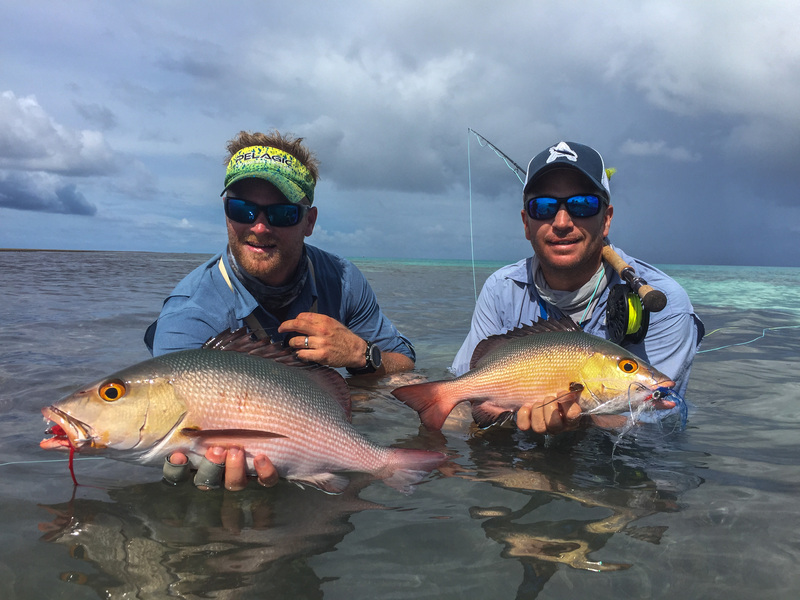 Fortunately, there were some great tides and a great set of excited guests all really in tune with what was going on and most of them seasoned flats anglers. 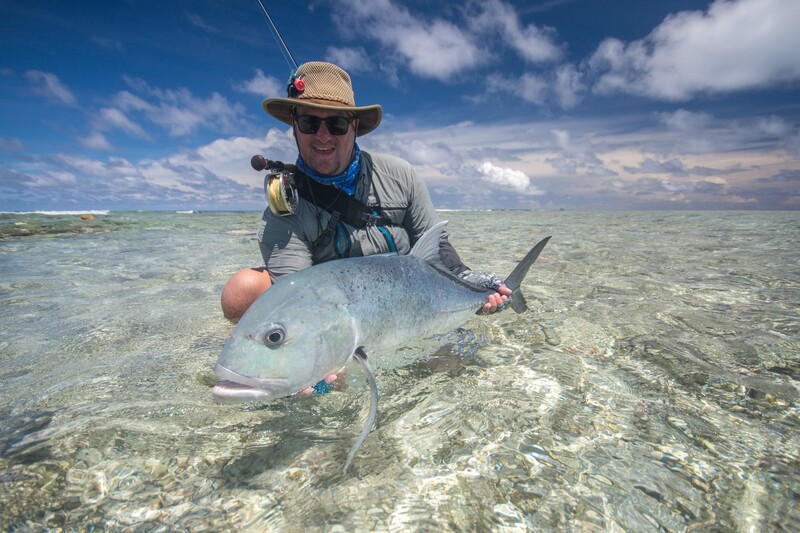 The spring tides persisted, which made a nice change, having water on the flats for most of the day is a good thing. 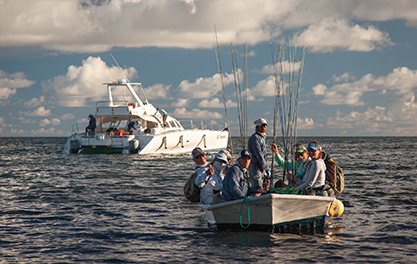 Lots of time was spent polling and some crazy fishing was to be had. 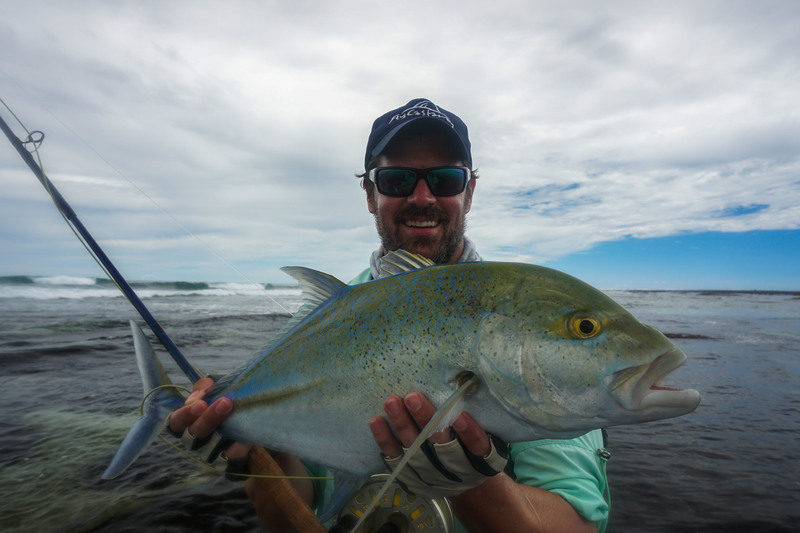 Kicking the week off with a bang, Nick B got his hands on a 75cm GT. 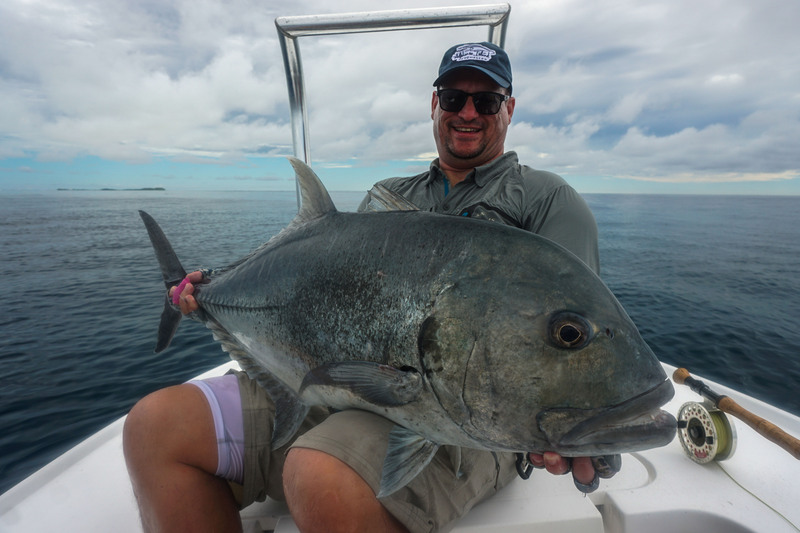 The GT’s were definitely out and about again this week with a few double ups and some good fish caught in the surf, this was definitely a GT week more so than anything else. 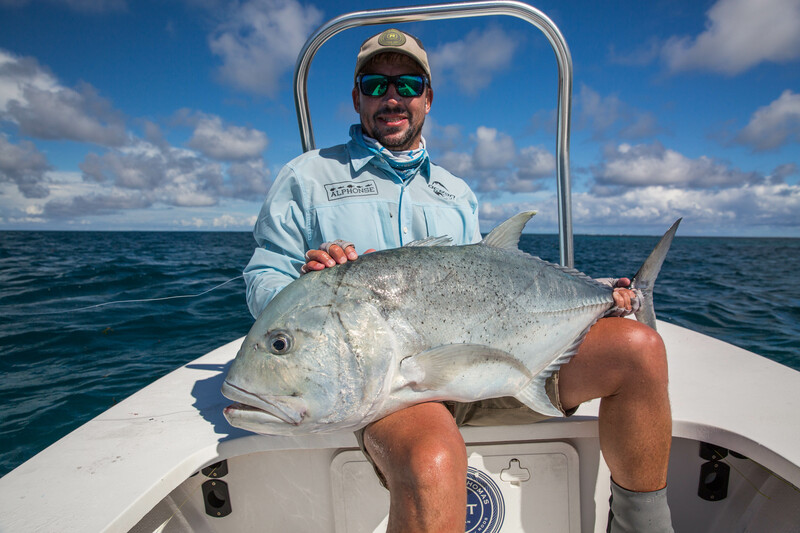 AJ was our GT champion of the week, closing his week off with three quality fish the largest being 91cm. 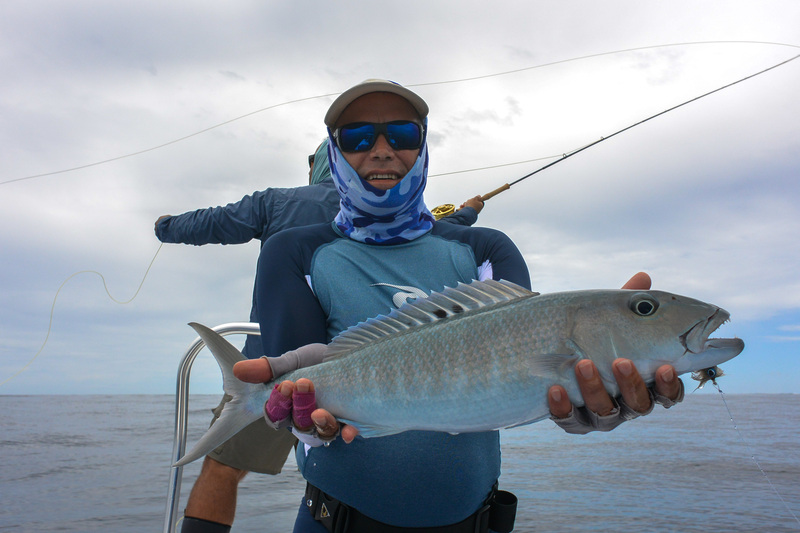 Not far behind was John S who finished off with two fish with the largest stretching out to 92cm. 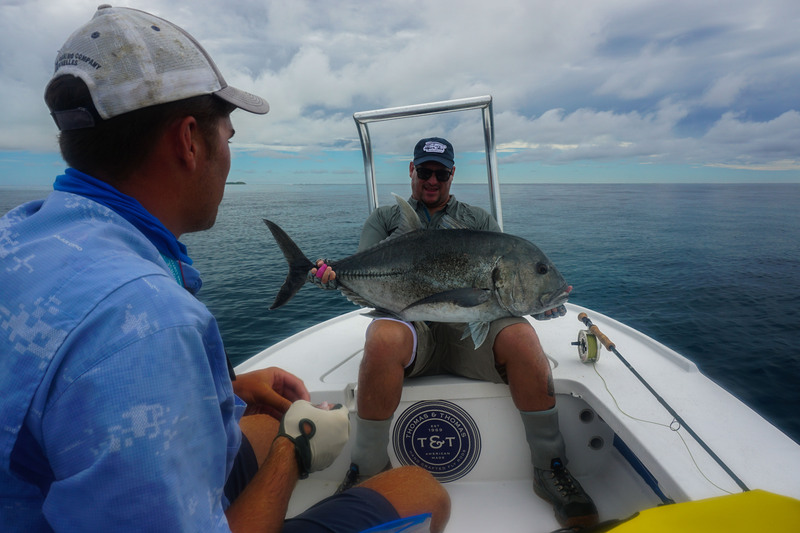 Bjorn V left his time to shine right to the end of the week, two sight fished GTs, one of 70cm and the second just touched the 100cm mark. 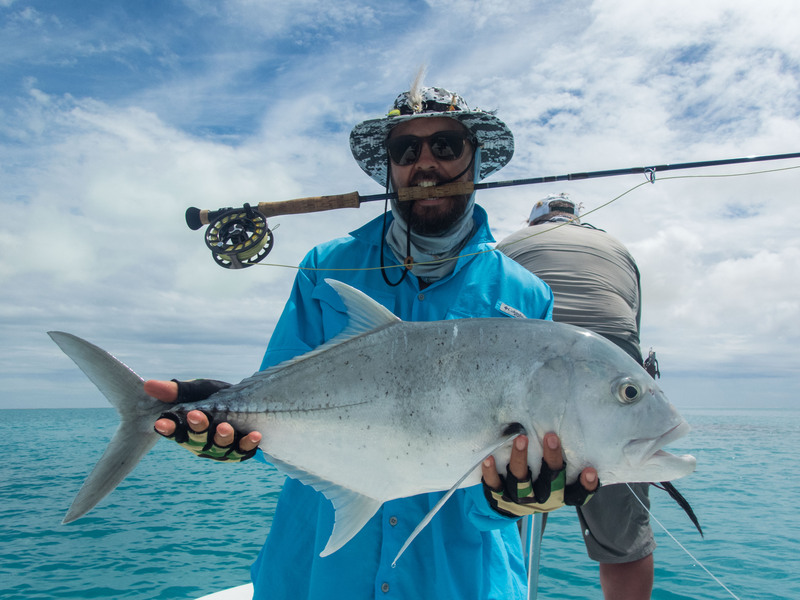 Not only were these his first two GT’s of the week but also his first ever. 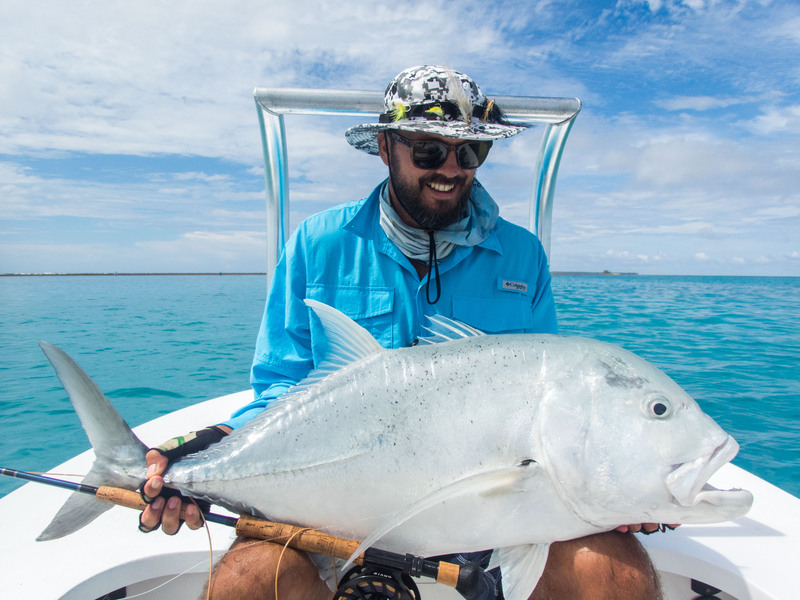 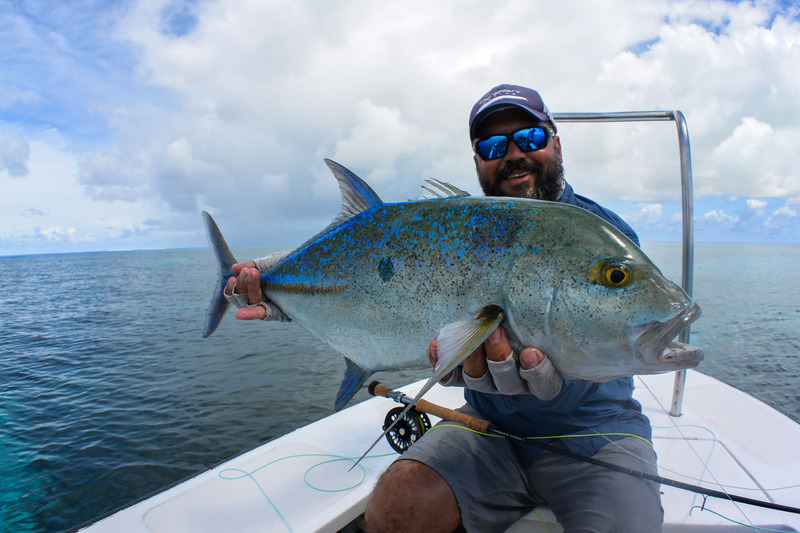 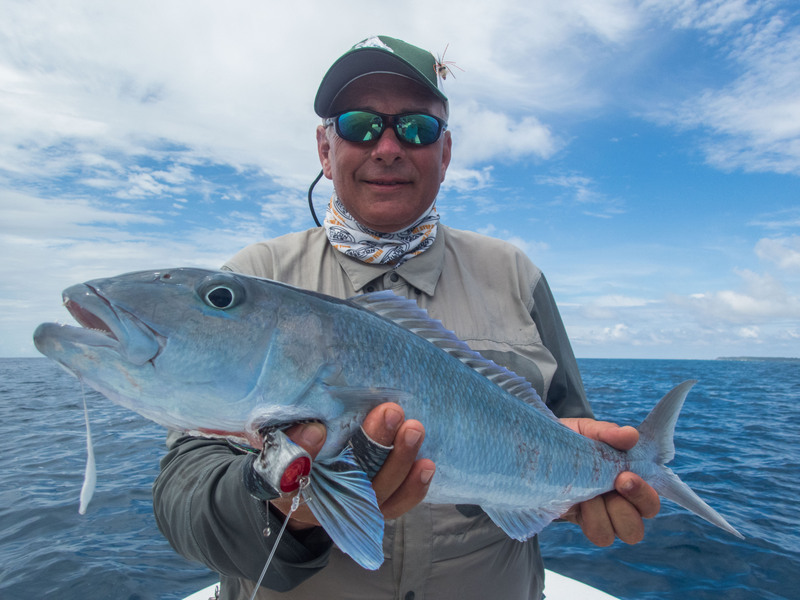 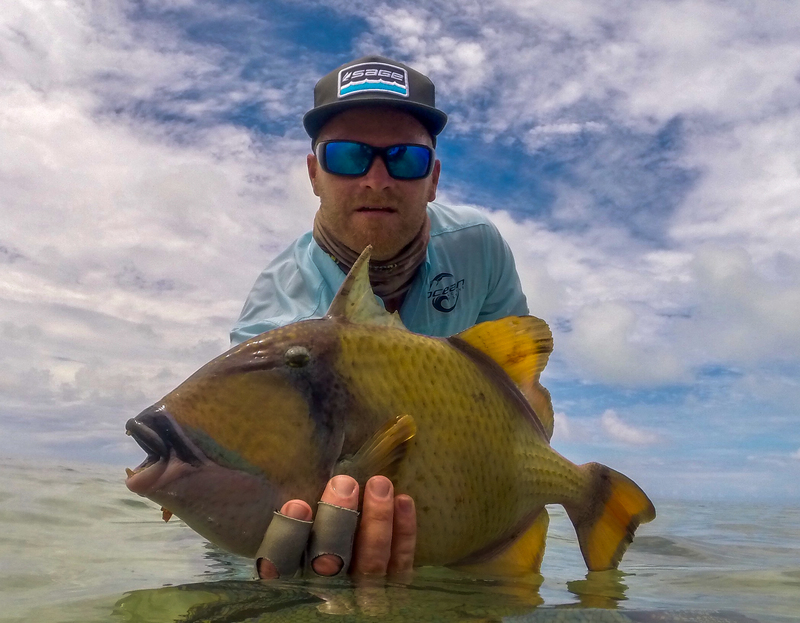 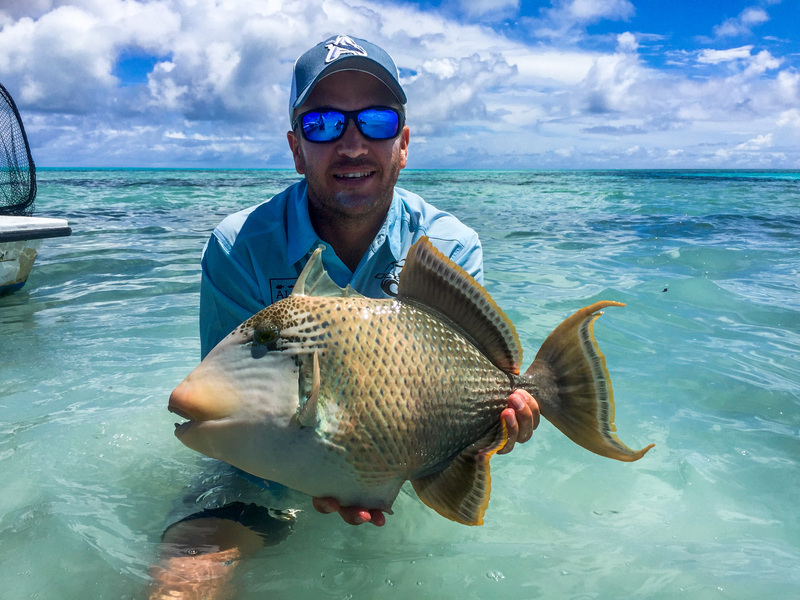 Vernon V kept his GT for a special trio by catching a beautiful Moustache Triggerfish, a handful of Bonefish and a GT to grabbed himself a ‘Flats Grand Slam’. 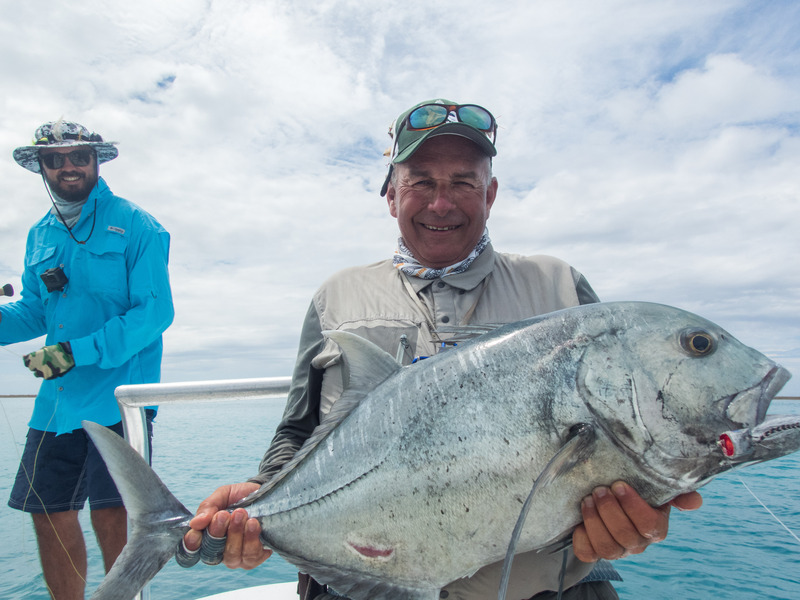 The GT mojo continued to flow through the group with Jacques v. R. also managing two fish. 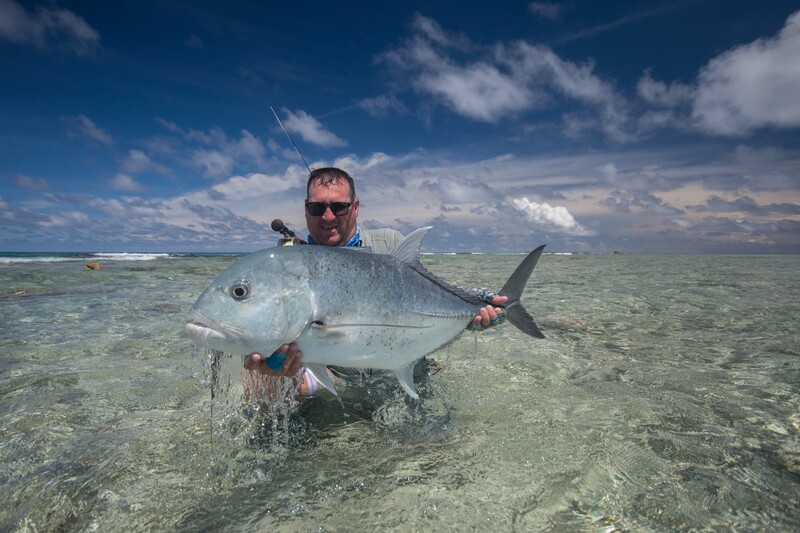 The tally at the end of the week was an impressive 11 Gt’s landed. 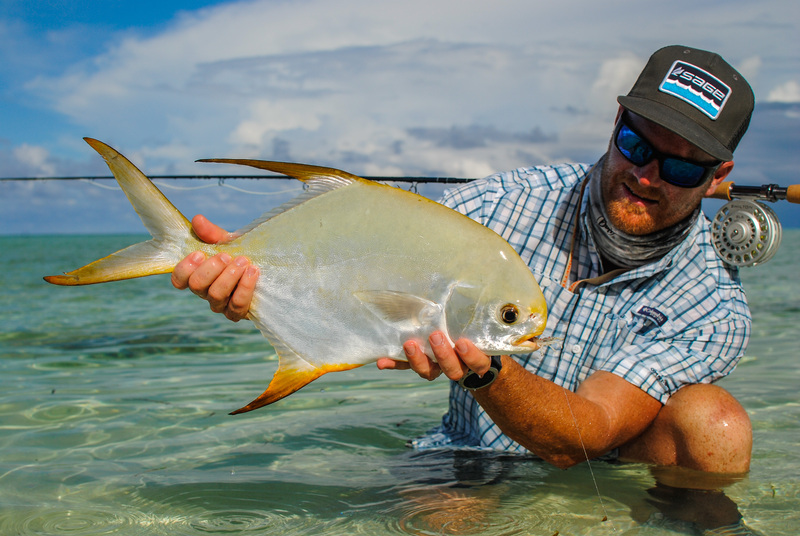 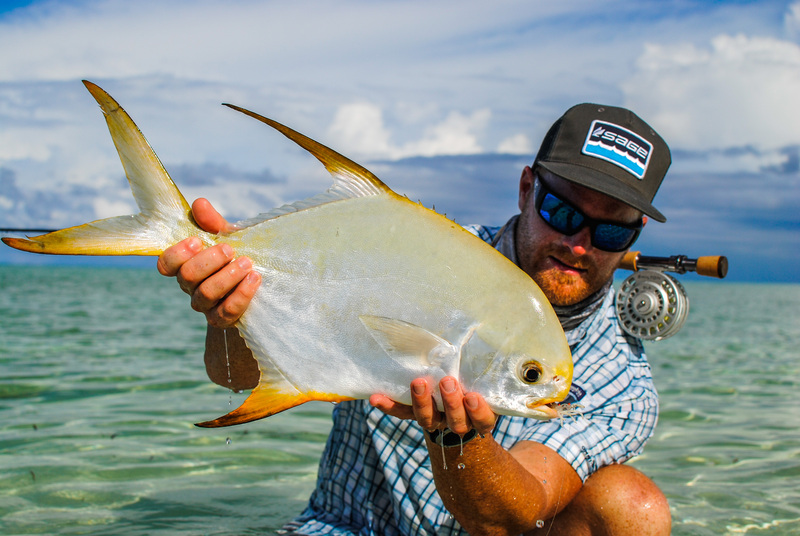 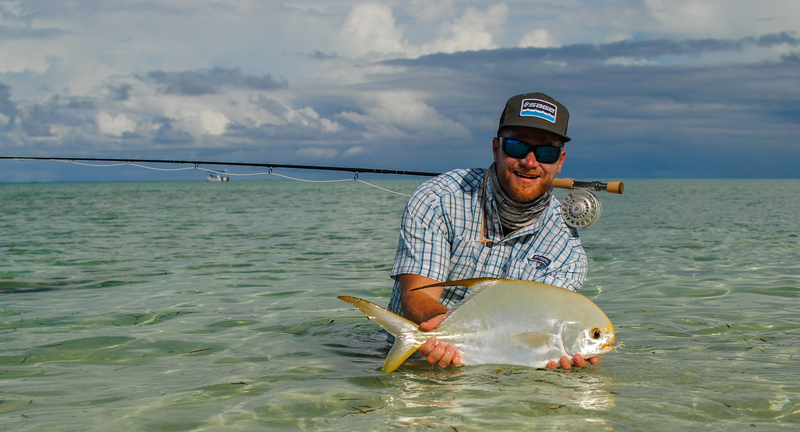 Besides the GT fishing this week, Vern was our only guest to get his hands on the tail of the fly fishing “Holy Grail”, a perfectly golden Indo-Pacific Permit. 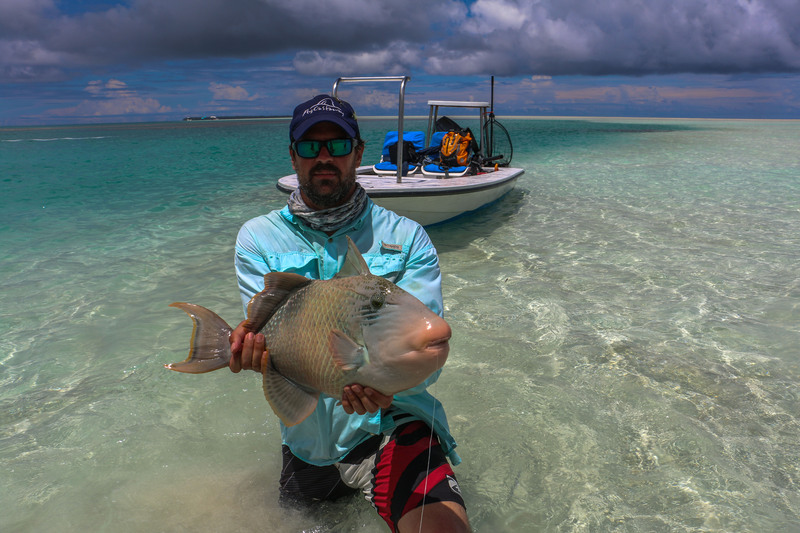 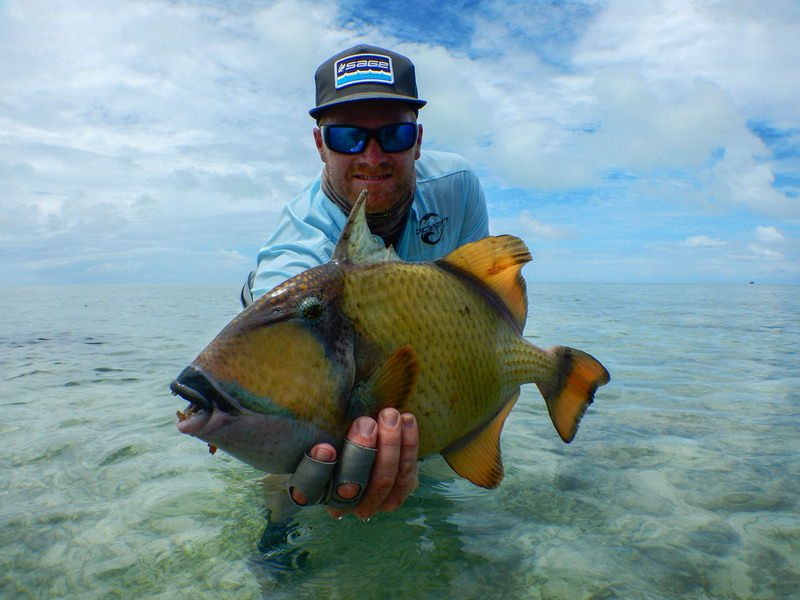 Rod T was the Triggerfish guru as he managed to fool a great Yellowmargin Triggerfish as well as Moustache. 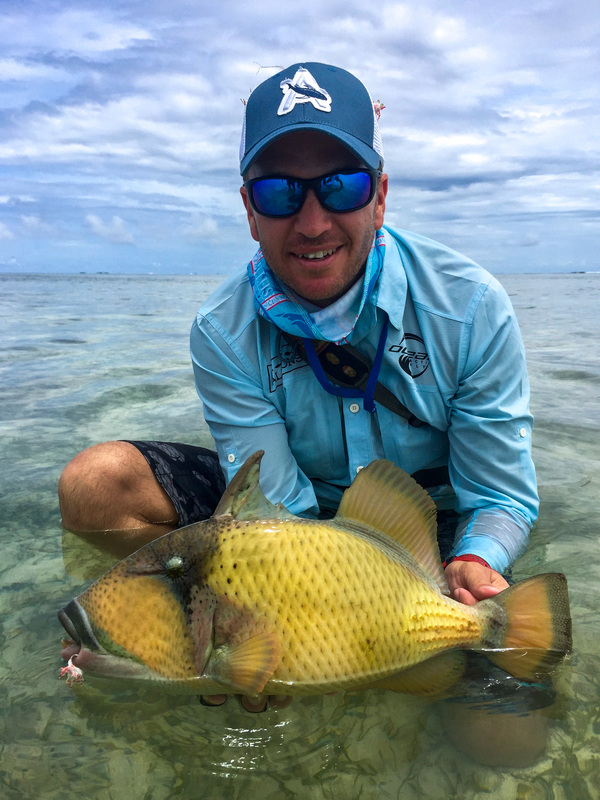 Simon M also managed to fool a yellow margin onto his fly to complete an impressive four Triggerfish landed for the groups week. 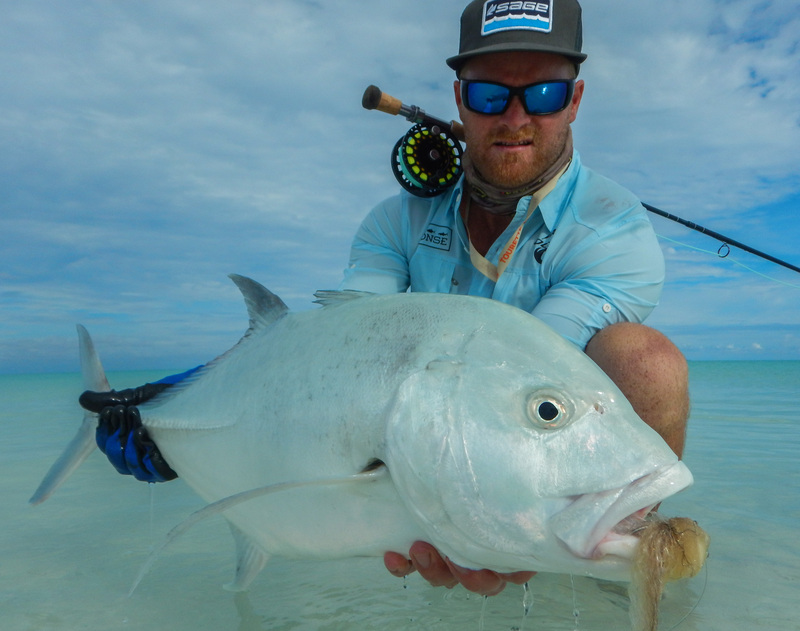 Not only were the flats fantastic but the bluewater fishing was also incredible. 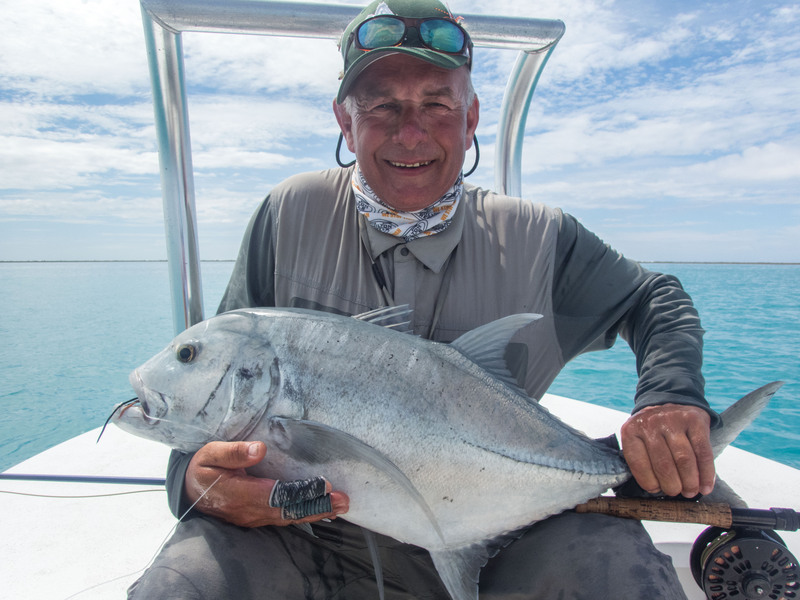 Trevor S was the only angler that managed to complete a “Bills and Bones Slam”. 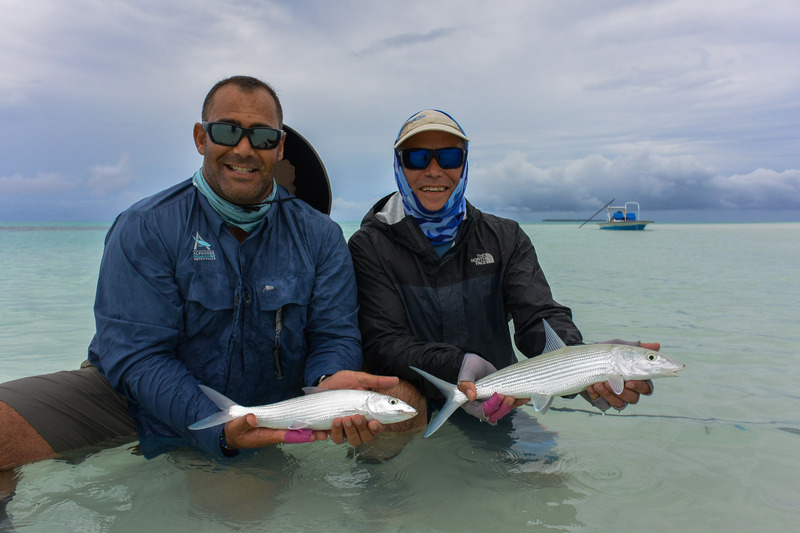 Alphonse Island is one of the very few destinations in the world where this can be done by jumping Sailfish and sight fishing to Bonefish within 3 miles of each other.